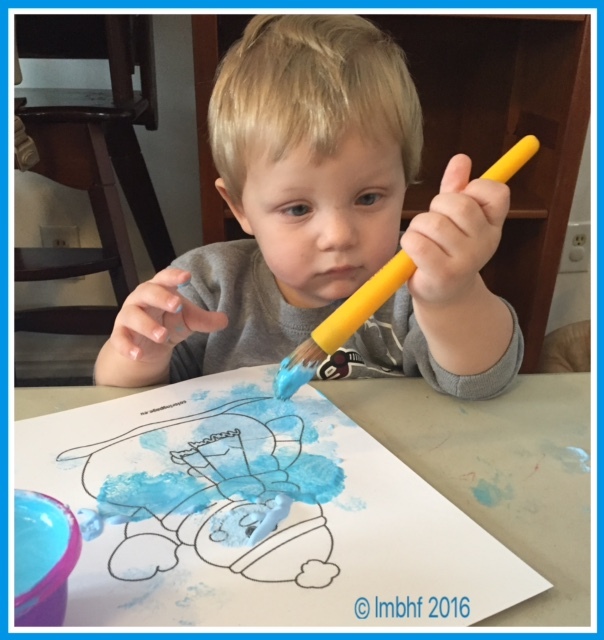 January 21, 2016|Posted in: Crafter's Corner, Happy, Healthy, Smart Kids! Kids love to use puffy paint! It adds so much fun and texture to their paintings. 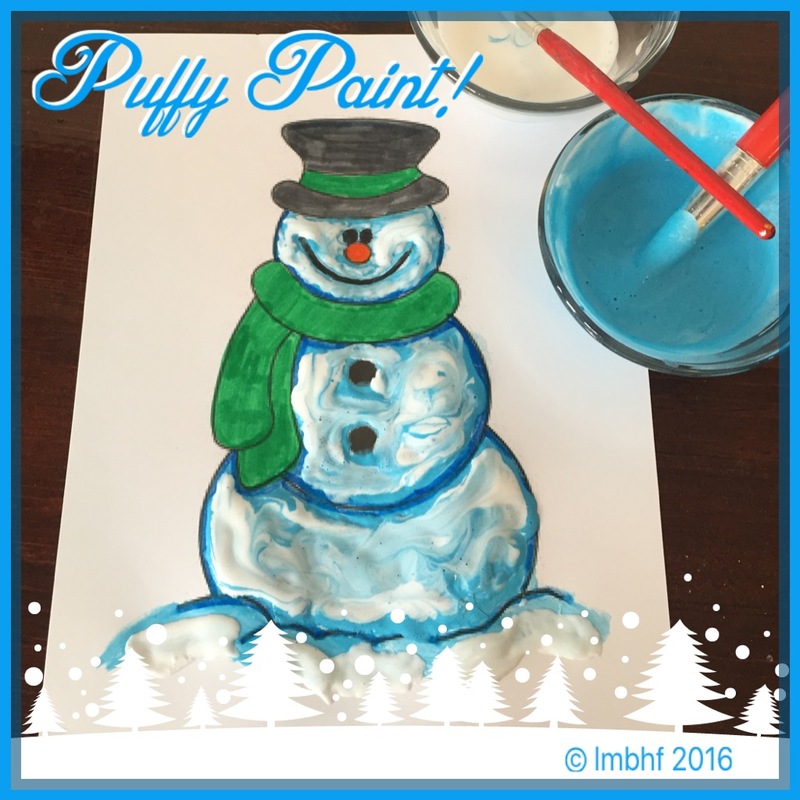 I like to have the kids paint snowmen with puffy paint because the texture looks like snow! Washable Tempera Paints (you can also use food coloring but be careful because it stains). 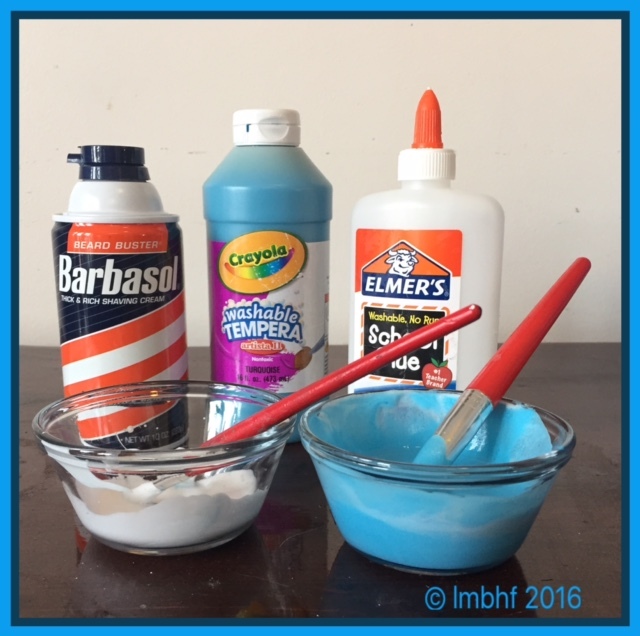 Mix equal parts glue and shaving cream, until you have the the desired texture. Add paint or food coloring, just a bit at a time until your puffy paint is the color of your choice. Print pictures on cardstock ( to make them sturdier). Give the kids paint brushes and let the fun begin!! You can get a FREE SNOWMAN COLORING PAGE HERE!